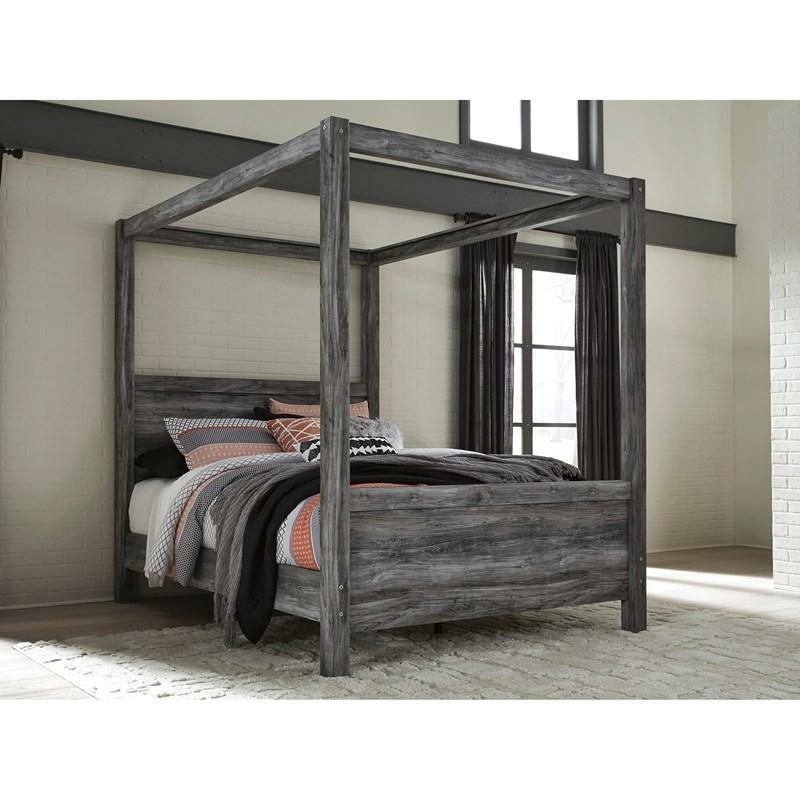 Rest in the beachy style of the Baystorm queen canopy bed. 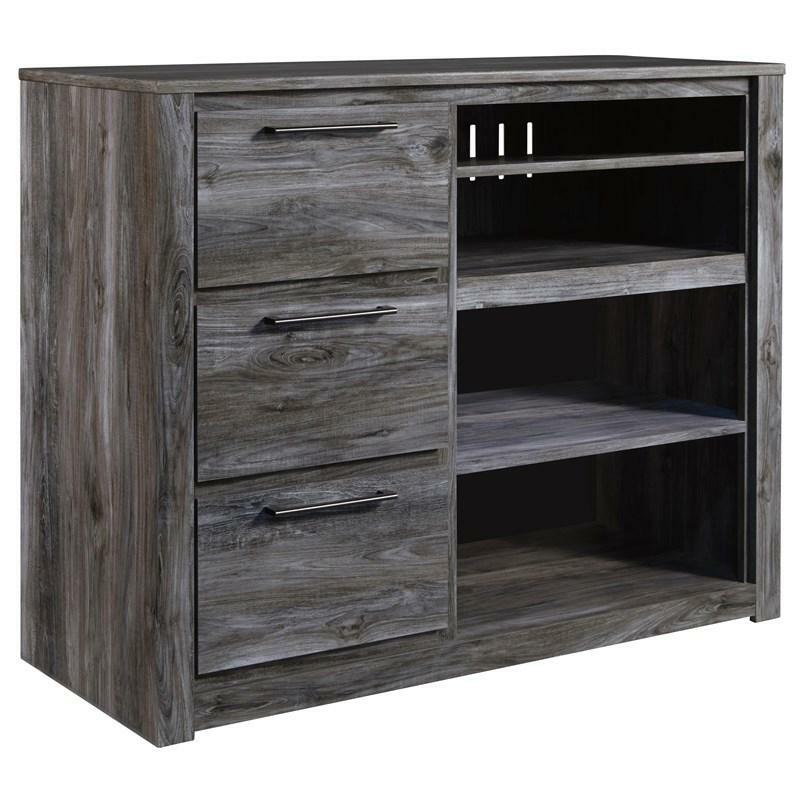 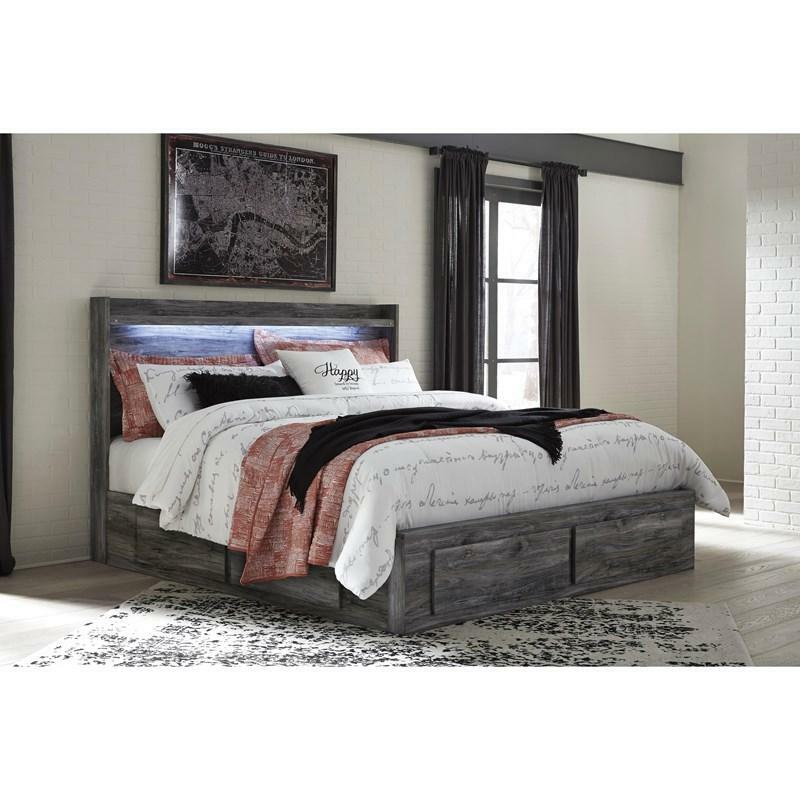 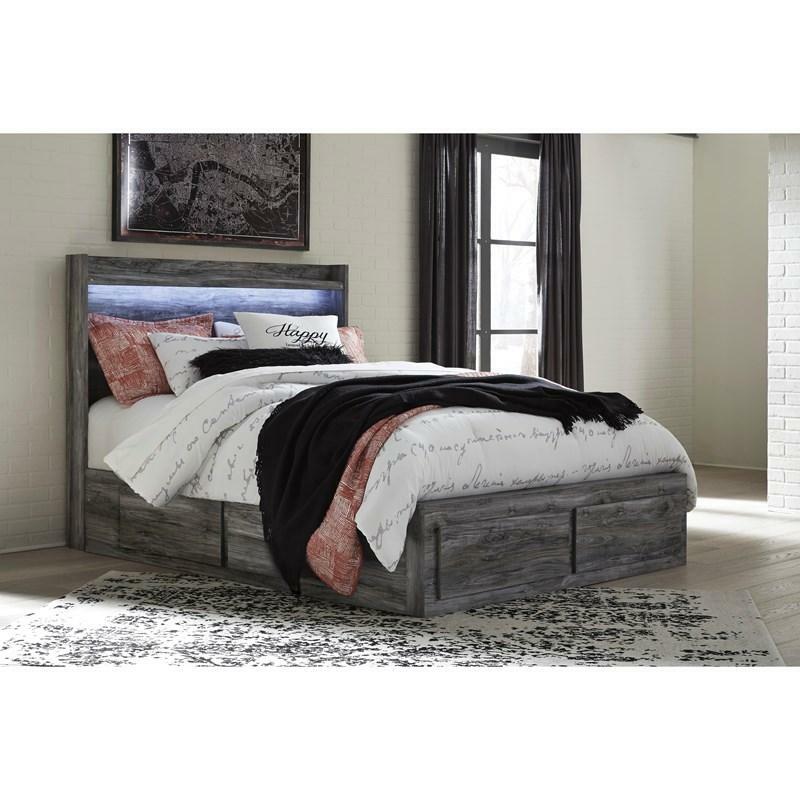 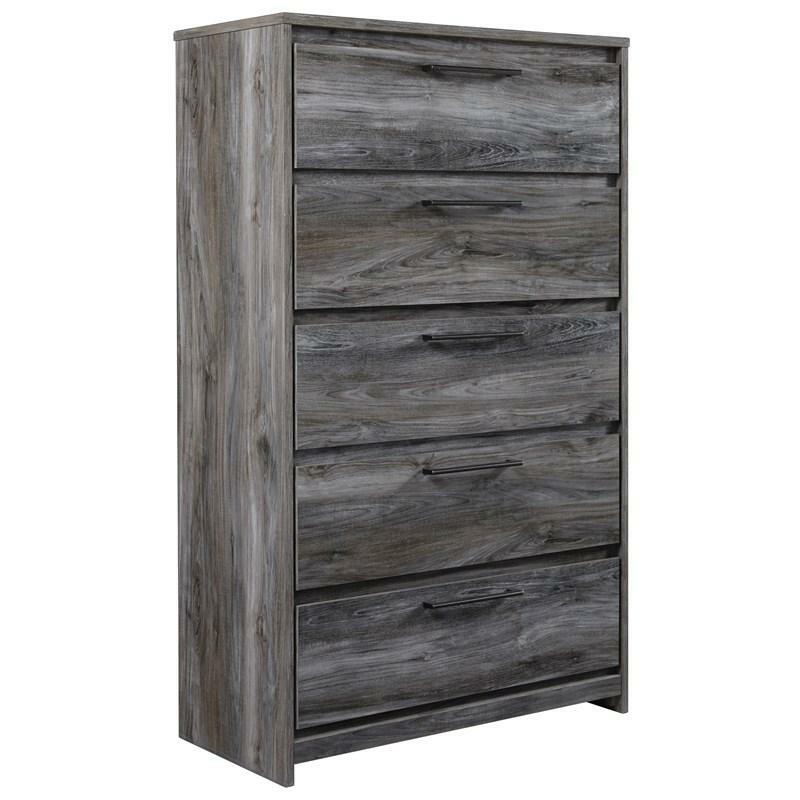 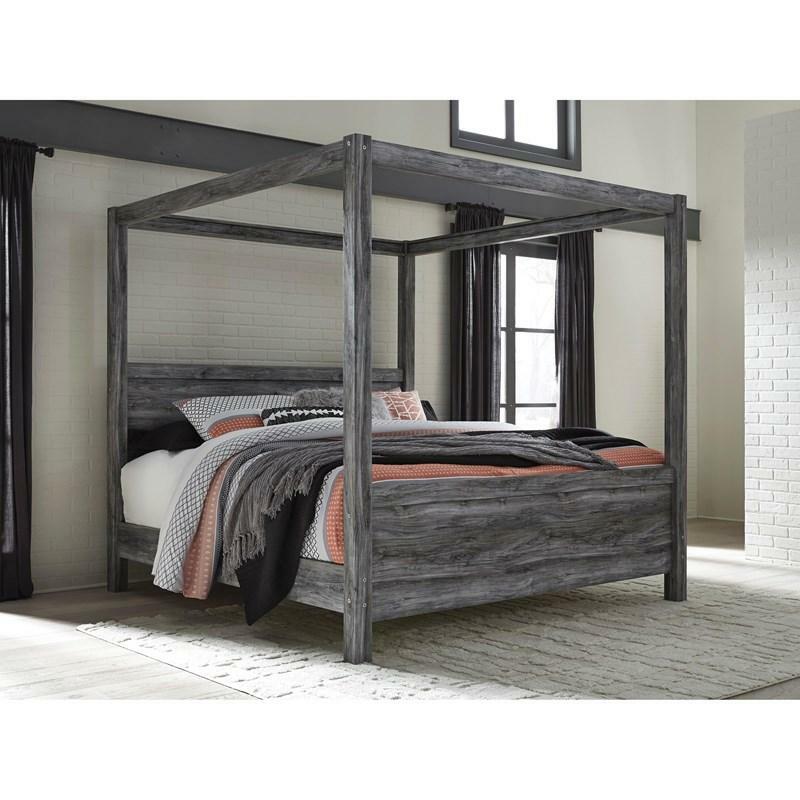 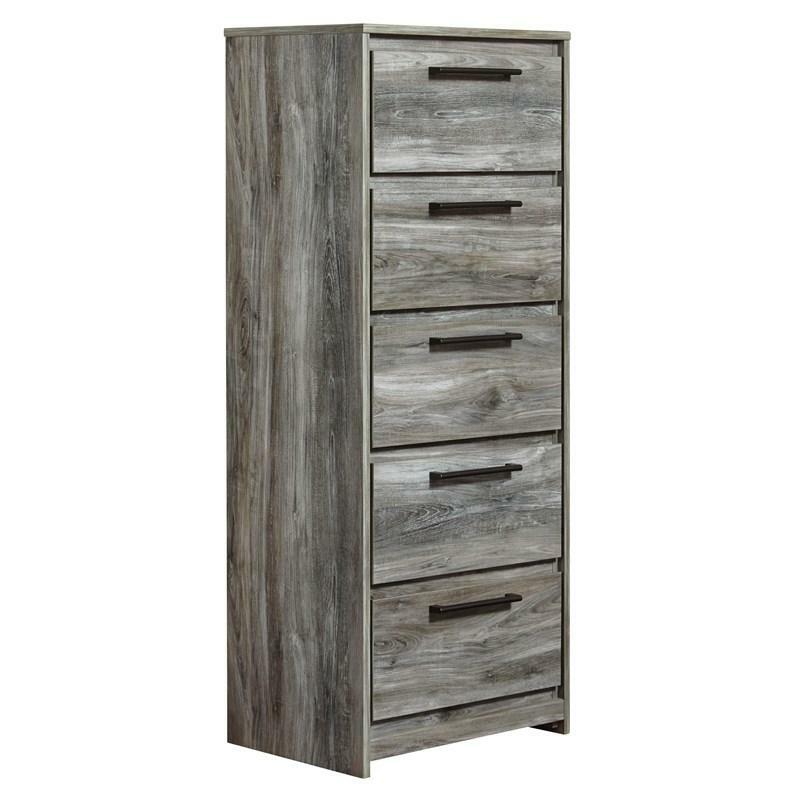 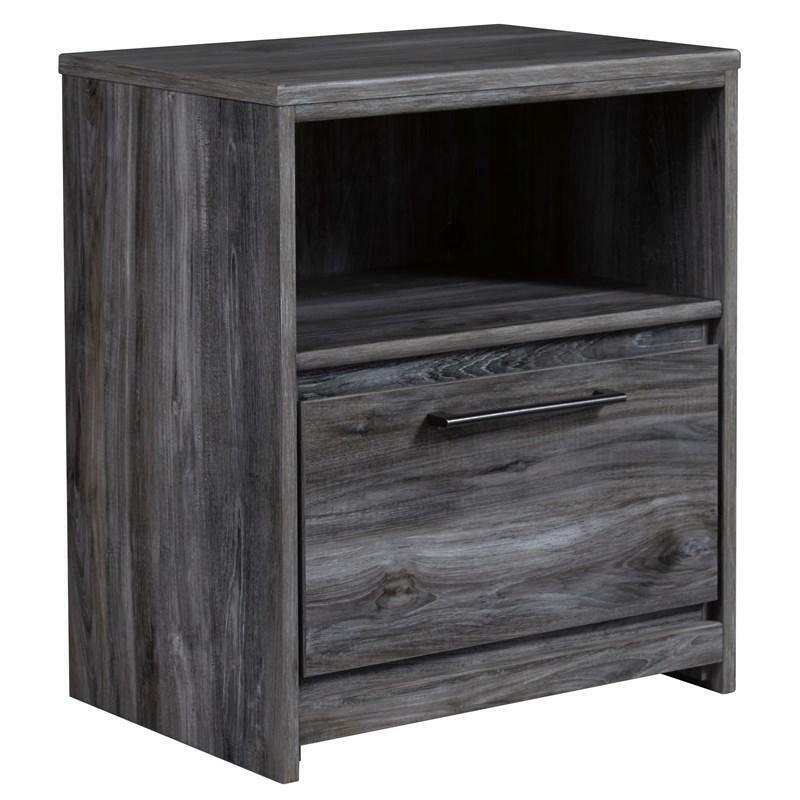 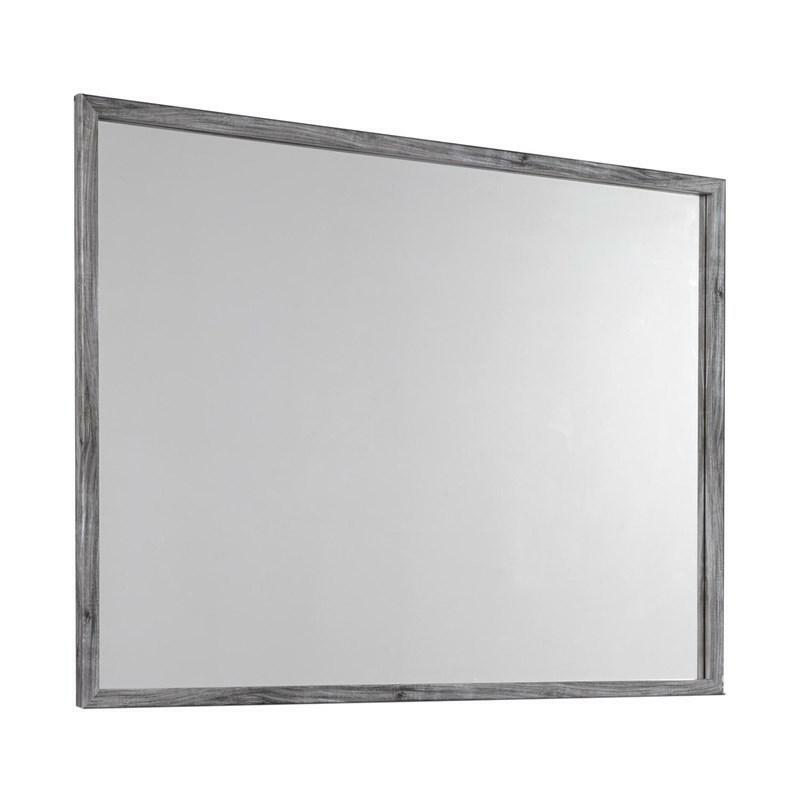 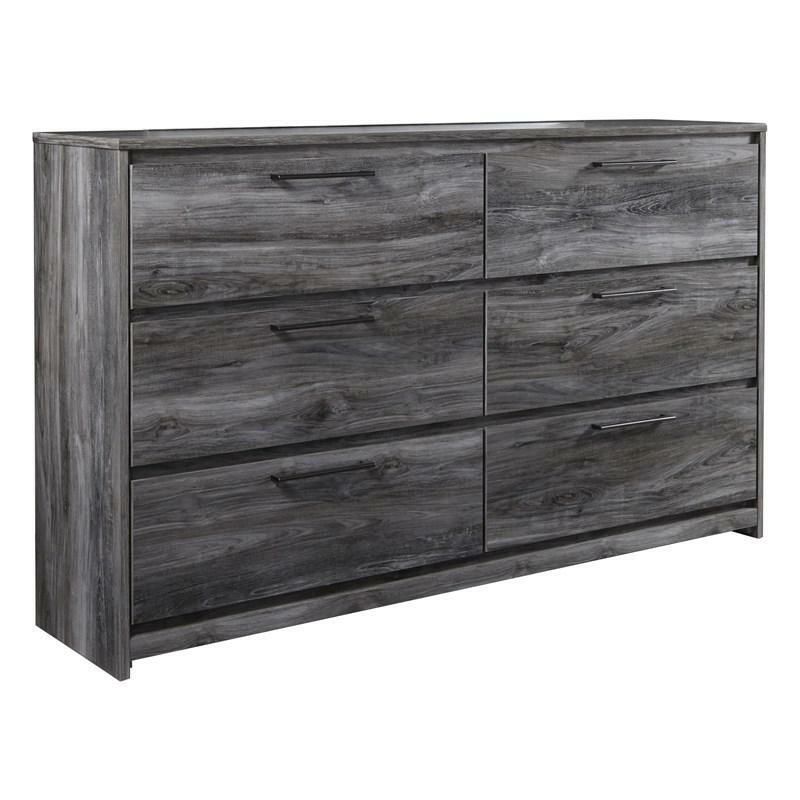 Its driftwood and surfer-inspired smokey finish gives any bed a rustic look that's perfect for creating an island escape in the room. 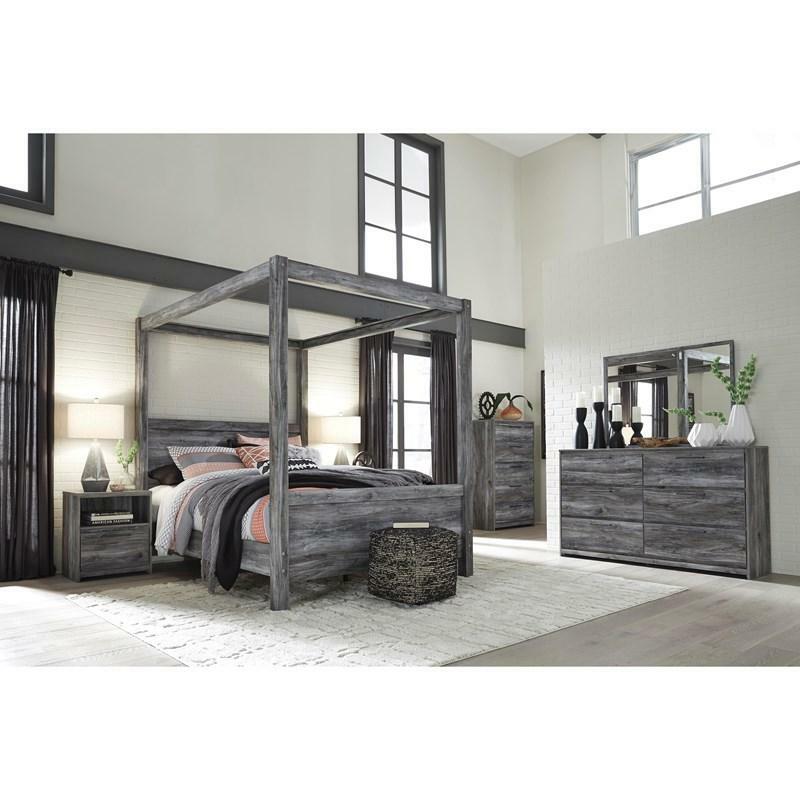 Clean lines and modern charm blend for an authentic look to be enjoyed for years to come.